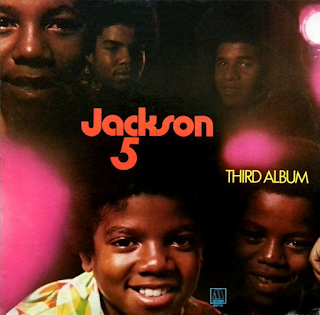 This album starts perfectly, with "I'll Be There", possibly The Jackson 5's finest ever song. It is just the definitive Motown soul ballad. Michael's vocal is sumptuous. This album was a transitional one between the bubblegum, pre-teen pop of the first two to a group wanting to be taken seriously asa credible soul group. The Delfonics' "Ready Or Not (Here I Come)" is covered superbly, packed full of soul. "Oh How Happy" has Jermaine's deep voice on lead vocals on an appealing poppy number with some gospel undertones. This has been a great start to the album, but unfortunately, it is now time for the by now seemingly obligatory cover of Simon & Garfunkel's "Bridge Over Troubled Water". All Motown artists did one. Actually, they do it well, with Jermaine on lead again and some super harmonies, but there is no need for it, really. "Can I See You In The Morning" has some excellent fuzz guitar and funky wah-wah too. It sounds very Temptations, psychedelic soul-esque. Michael produces one of his first great, soulful vocals. Good stuff. This is a seriously underrated track. "Going Back To Indiana" is a lively, poppy piece of rocking soul. It has a killer guitar solo in the middle too. "How Funky Is Your Chicken" gets in on the whole Stax/Rufus Thomas "Funky Chicken" craze. "Mama's Pearl" was a big hit single, and is in the "ABC"/"I Want You Back"/"The Love You Save" upbeat, totally irresistible vein. Listening to it even now is just such a pleasure. It is full of youthful vigour and energy. 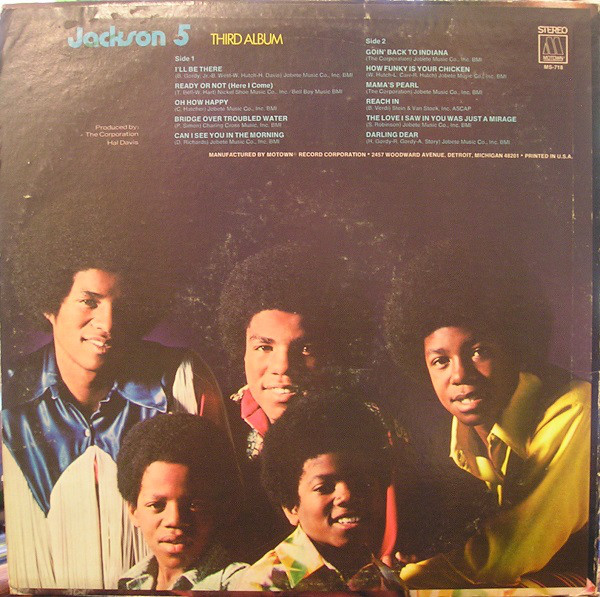 "Reach In" is credible, adult-oriented Motown soul. "The Love I Saw In You Was Just A Mirage" is instantly recognisable as a smokey Robinson song. Michael does it justice. "Darling Dear" is another acceptable soul number to end what is a most pleasurable half hour's listen. Nice Motown stereo sound too.